It’s autumn in the Ozarks, and the mountains are ablaze; the air turns crisp as shades of amber and vermillion ignite the foliage. Eureka Springs is a well-loved destination this time of year. In fact, it’s been recognized in USA Today and Travel + Leisure as one of the best spots in the country for fall color and as part of National Geographic’s Drives of a Lifetime series. Taking in the sights on foot is one of the most relaxing fall activities in Downtown Eureka. Natural beauty blends with artistic flair, right in the heart of town. Comfortable temperatures beckon visitors down leaf-strewn paths lined with classical Victorian facades, whimsical bungalows, natural springs, and captivating shop windows. Nationally acclaimed as a destination for the arts, Eureka’s natural setting and open-minded attitude foster an atmosphere of creative energy, inspiring over 400 resident working artists. 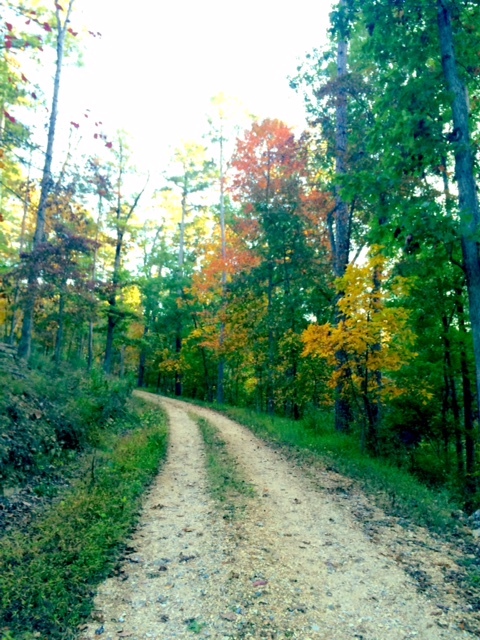 Plot your autumn Eureka moment on the Arkansas Art Trail. Downtown Eureka Springs is part of the National Register of Historic Places, and its picturesque buildings date back to when the city first became a flourishing tourist destination and spa town in the 19th century. Elegant architecture and lacey gingerbread woodwork echo the long-ago luxuries enjoyed by those first Victorian holidaymakers. Green spaces are in no short supply in Eureka, either. The same springs that drew crowds in centuries past are still gently burbling all over town, many surrounded by colorful gazebos and seasonal blooms. Names like Laundry Spring and Crescent Spring Park offer glimpses into Eurekan history. You’ll stumble upon many little hidden “pocket parks” as you stroll about town. It’s so relaxing on the trails of Eureka that it’s easy to feel as if you’ve been transported to another time. 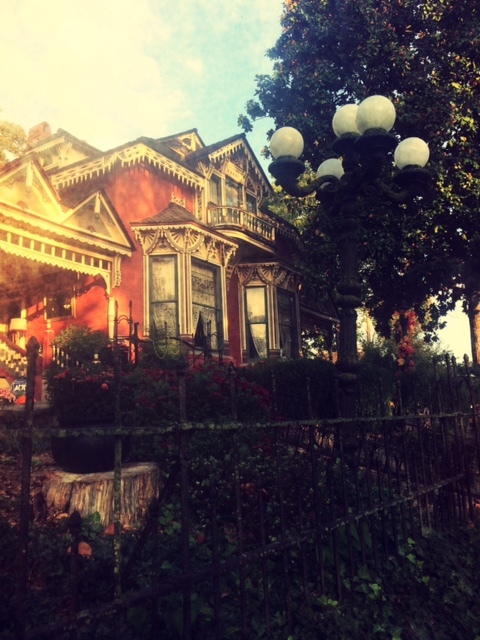 Discover why Spring St. is Eureka Springs Prettiest Street! Just refer to this simple Downtown Eureka Springs map to follow the trails and locate springs, parks, landmarks, and amenities and plot your own absorbing journey. Take a well-earned break at the historical mountaintop Crescent Hotel and savor a pizza pie and a panoramic view of the Ozark forest from the highest point in the county at Sky Bar Gourmet Pizza. Tiptoe (or zoom!) through the treetops with a local Eureka Springs Ozark Mountain zipline tour. Enjoy an afternoon of hiking at the 1600-acre Lake Leatherwood Park, home to an 85-acre spring fed lake. Hitch a wagon ride through the woods from Bear Mountain. 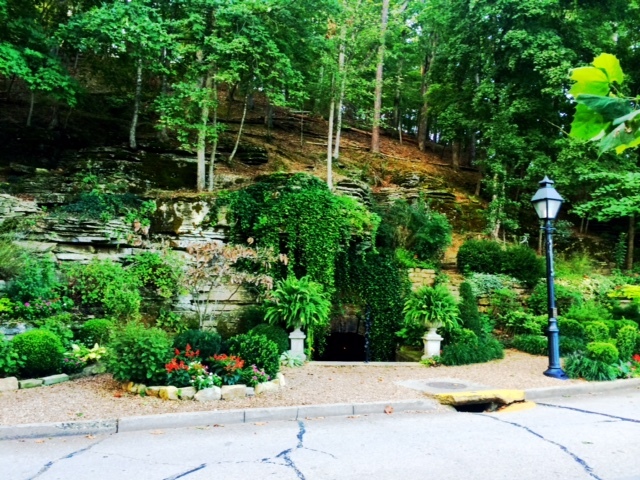 Discover the Eureka Springs’ Natural Springs Trail to view the best springs and pocket parks in town. View the Eureka Springs fall foliage report at Eureka Springs Downtown network and stay up to date on leaf-peeping tips. There’s never a dull moment in Eureka with top-rated attractions, dining, nightlife, lodging, shopping, and outdoor exploration. 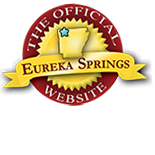 Follow our Eureka Springs events calendar to ensure you don’t miss out! This entry was posted on October 25, 2014 by estcblog in Attractions, Crescent Hotel, Fun Downtown, History, The Great Outdoors, Things to Do and tagged downtown, Eureka Springs, Eureka Springs Arkansas, gardens, historic downtown, natural springs, Outdoor, photography, Top 25 Arts Destination.